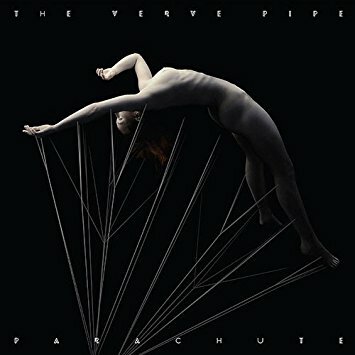 The Verve Pipe are back with their second Long Player in three years and Parachute is as expected, great. The Verve Pipe are largely Brian Van Der Ark and others now, particularly since Donny Brown hasn't been around since Are We There Yet? Brown has gone on to be a session drummer of choice and seems to have appeared on most of the best Power Pop albums of the last 12 months. Van Der Ark hasn't been loitering in the interim though. Apart from The Verve Pipe, there's house concerts, his motivational speaking appearances, solo albums, even working with Jeff Daniels. I seem to remember a time when he was a sort of internet marketing guru. The Verve Pipe are not the only band to have been involved in recording albums for children, but their two, A Family Album and Are We There Yet? are amongst the best in that field and the merchandising opportunities for artists involved in these releases are excellent. Known to many as one hit wonders for The Freshmen, there has always been far more to them that and rather than the lazy writing from the unconverted about the rise and fall, the album quality has rarely dropped. I can only think of one iffy one, 1999's patchy self titled affair. The band are also responsible for one of the best albums that few have ever bothered to hear, 2001's Underneath. Parachute consists of eight songs that have been digital only releases from the past year or so with two new songs available across all platforms. It's a really coherent album. Van Der Ark sounds more like Peter Gabriel these days and songs like Nothing Like Your Love and The Favourite Son could be Big Big Train. Songs like the epic Grieve For The Girl are very different, that is a sort of Prog Americana. Fear not though, there's plenty of classic Verve Pipe present on the likes of I Can't Get You Off My Mind and The Fine Line. All in all, a splendid effort and there is far more to come from the band. The album can be bought from the band's website here. It's also available everywhere else.